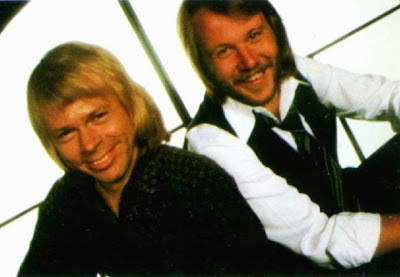 Rather goofy looking here but o so very talented: Bjorn and Benny in 1977. They both were and ARE great musicmakers. That's why their music still is apprecieted. Not to forget of course the two ladies: their lookes and their VOICES: apart or together!!! yoo hoo where are you.